Everyone is swooning over Carol. Each frame is a cinematic essence of love. One of the most beautiful love stories ever told. Carol is a love story. Like all great love stories, its power comes from the universal emotion soaring beneath its specific concerns. The film owes a debt to the immaculate prose of Patricia Highsmith’s 1952 source novel – not to mention her social daring in writing a sophisticated and beautiful novel of love between two women at a time when that love was defined legally and morally as ‘obscene’. Haynes’ adaptation is up there with Jonathan Glazer’s Under the Skin as an example of how to retain the soul of a book while transforming it for maximum cinematic effect. To be believed, love stories need to capture the steps in between meeting an attractive stranger and falling in love with them. Love is magic. No one can define it so the spell that conjures it needs to make sense. In Haynes’ previous films, love has sometimes spelled bad news. In Superstar: The Karen Carpenter Story, smothering parental love is a factor in the development of the singer’s fatal anorexia. In Safe, Julianne Moore retreats not just from love, but from the whole toxic world. Far from Heaven shares a 1950s American setting and a melodramatic gay love story with Carol and yet there is something more melancholic at work – a result of Moore’s fearful approach to the fact that she is in love with a black man. The forces of intolerant society are more oppressively felt and Haynes plays his hand a little archly at time. Carol is always as earnest as a kiss. The storytelling is as clear as a polished windowpane. Everything serves the point that love is the still heart of a chaotic world: the frosted purity of the colours, the stately pacing, the yearning score by Carter Burwell, the way that Ed Lachman’s camera always drinks in a space before dialogue kicks in which in turn creates a graceful rhythm. Haynes conducts all elements as individual instruments that come together in one harmonious chord which means the most primal and wondrous of feelings. The core of Carol is established in a fusion of timelines that, within the first few minutes, shows the end, the beginning and key images that recur: Therese (Rooney Mara) watching through a window; a glimpse of Carol (Cate Blanchett); a toy train on its tracks. The train is what brings the pair together for the first time. 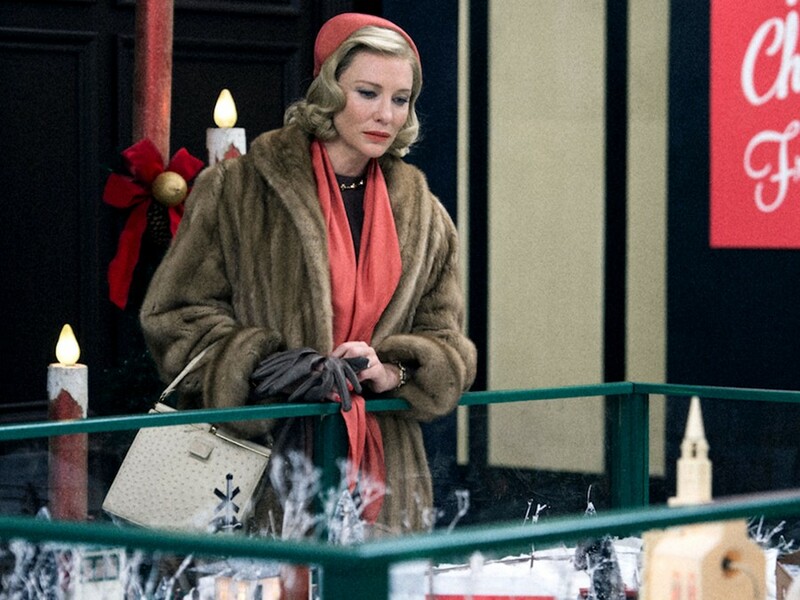 It’s the item that Carol purchases while Christmas shopping in the department store where Therese works. Their mutual attraction is shown as something more lasting than lust from the outset, although intimacy is not something that can take place without a precise series of steps. The dialogue is as carefully calibrated as all else in this film. Everyone is exact but not too eloquent. They hit their mark when it’s their turn to speak, saying no more or no less than what will move things along. Flirtation is a question of reading between the lines. Haynes’ taste for rendering surfaces that are pregnant with underlying tension is the ideal way to infer that the homophobic social context is driving them to a dance of delicate wording. “I have a friend who told me I should be more interested in humans,” says Therese, sitting straight-backed by the piano in Carol’s family home. “How’s that going?” says Carol, from a distance. The women exchange a look that cannot be mistaken. They are often exchanging looks. They cannot stop stealing glances only to find that the other is stealing one too, meaning that they are both giving as well as taking. Lachman’s camera catches one pair of eyes looking, its subject looking right back and the meaning that sparks as the women connect. They are a pair matching each other step-for-step down a social back-road of queer intimacy, acting the conventional parts while in public and for a long time while in private, too. The stakes for Carol are high. She is a woman of the world with a young child and a husband who won’t be divorced easily. Kyle Chandler as Harge is a desperate man rather than a cruel one, wont to charge back into the familial home where he no longer lives. If the film has an antagonist it is Harge with his braying, undignified, vengeful death throes. But Haynes – even more than Highsmith before him – takes pains to enable his suffering to find full voice. He sympathises with Harge so that none of his characters have to. The same is true of Richard (Jake Lacy), Therese’s jovial and handsome boyfriend who is introduced when the film begins. We see jilted and confused men with no comprehension of the nature of the love that is spiriting their women away. Therese is comparatively free of baggage. She is box fresh at 19 years old. Why does she stick around? The clue’s in the title. And yet this story is rewarding because it engages with potentially deal-breaking facts rather than just letting characters smoothly surf the waves of a narratively-concocted destiny. Carol is about lovers meeting at different times in their lives with different levels of experience. They can’t mean the same thing to one another. This could doom them or it could mean they live in complementary harmony forever. It’s important that their ending is not inevitable. Love contains no promise of anything other than one self-contained moment at a time. 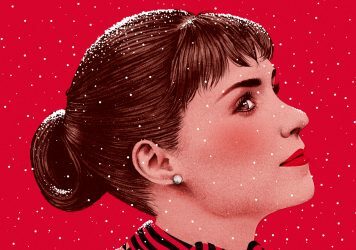 Haynes understands this and presents a series of crystalline vignettes that pave the path that Therese and Carol take together. Or to be more literal: Carol drives her willing passenger Therese around in a car. Her position at the controls is telling but while she has the navigation skills to steer, Therese has the heart to will them onwards. 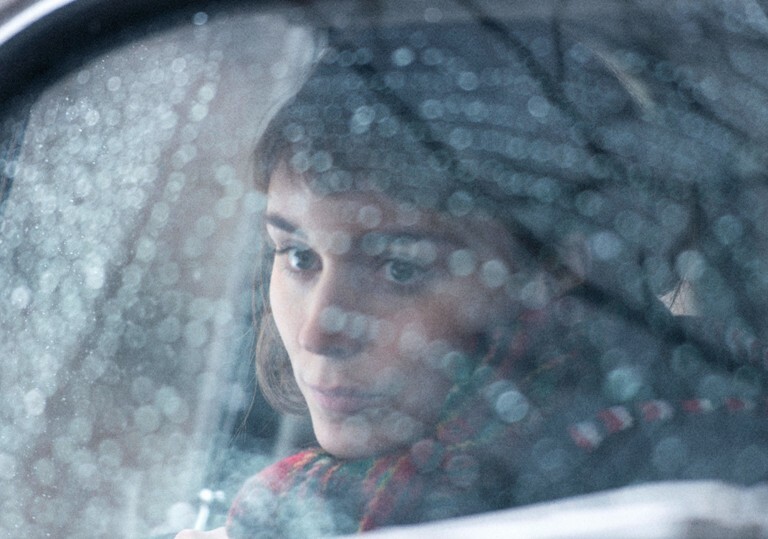 Rooney Mara’s voice is scratchy like a dust-coated longplayer. She summons raw words that keep Carol listening. She plays a young woman with an intense soul. A red and yellow beret on top of her serious face shows the youthful spirit that leaks out despite her focus on adult affairs. 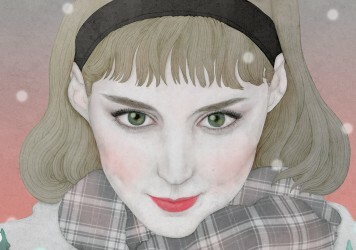 She is interested in photography (modified from theatre design in the book) and this translates to a watchful presence. Mara’s genius is in conveying so much feeling in a character that doesn’t have much drama apart from that which boils within. She tries to keep her face composed and stoic so when Carol moves her to smile and her dimples come out, it is a charming surrender. 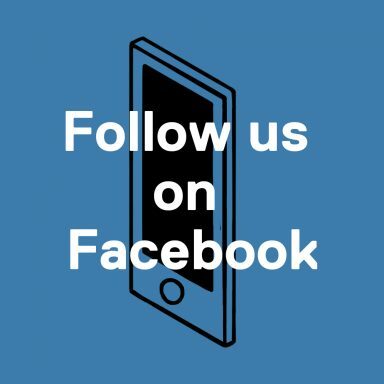 Mara is established as a committed performer. This has been true since she gave herself over to David Fincher’s The Girl with the Dragon Tattoo. Here, the layers of her performance are exceptional. Every fibre of her being seems to be engaged in the stifling of feeling, yet she has given Therese such inner life that there is electricity emanating from her mere presence. Her Therese is hungry for authentic experience more than she is young and vulnerable. Carol is older but more vulnerable for it. Her escape from the domestic bubble where she was safely closeted makes her a target for the same condemnation that plagued queer appetites in Far from Heaven. Blanchett is an actress who has set standards for her own performances so high that the revelation is not that she’s great but that she’s great in a new, sophisticated outsider way. While Therese’s nails are bitten-down and unvarnished, Carol’s are manicured talons. Sandy Powell has costumed her to be every inch the debonair 1950s socialite. She has the figure, looks, manners and wits of a married woman of her class. It’s her armour, her camouflage and her charm. She knows who she is. She knows that to give herself the best chance of survival she must tend to the details that she can control. She is an outsider styled to be irresistibly but conventionally attractive. This is also Haynes’ modus operandi. It’s funny that a film pegged as “a lesbian love story” narratively and tonally is the director’s straightest film to date. There are no dolls, no spankings, no women playing men, no gold trousers. There aren’t even gay bars, just two women walking towards one another until they can’t get any closer. Carol is a love story. It presents love as a white-hot cocoon that attains meaning from its contrast with a stormy outside. Love cannot save you from walking in the open in the climate of your time. Love is nothing to do with this. Love is a profound personal language that can make sense of a world that cannot make sense of it. The Carol star tells us how she has managed to pack so much into her short career. 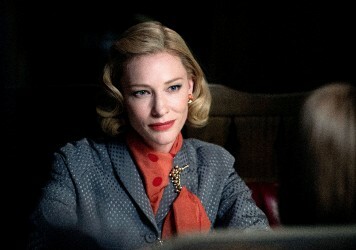 Can you capture Cate Blanchett as Carol? Take part in our creative brief as inspired by Todd Haynes’ romantic masterpiece. Pick up our latest issue and fall in love with Todd Haynes’ breathtaking period romance.